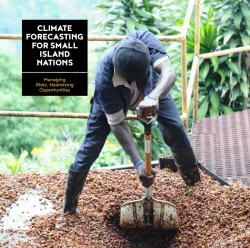 A new publication from WMO shows how some of the world’s smallest island nations are now using new climate prediction tools to boost their economies and enhance livelihoods in areas as diverse as renewable energy, agriculture and national economic planning. In these pages you will read about key champions of climate prediction services, such as the President of Seychelles and the Prime Minister of Samoa, who have been quick to realize the clear value of investing in such services, both to manage risks and to maximize economic opportunities posed by a changing climate. WMO capacity-building support to enhance and strengthen the capacities of SIDS National Meteorological and Hydrological Services (NMHSs) and the development and application of science-based climate information and services in support of decision-making. WMO is now working with its partners to support increased investments in climate prediction services by all SIDS in the Caribbean, Indian Ocean and Pacific regions.